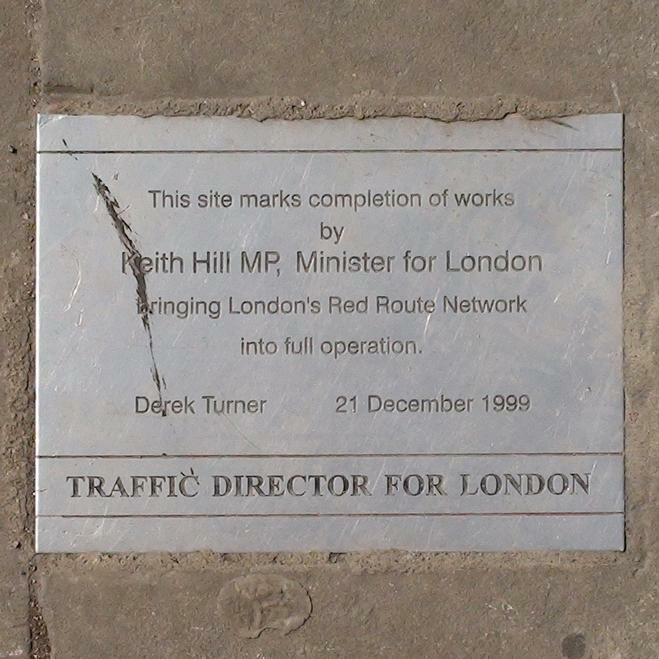 This site marks completion of works by Keith Hill MP, Minister for London bringing London's Red Route Network into full operation. 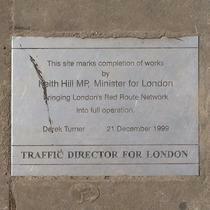 We only know about this small plaque, laid in the pavement near the kerb, because we know someone whose business is painting lines on roads. (Thanks for the tip, Steve.) Just goes to show: plaques can be erected to absolutely anything. Quoted from Charles Dickens' preface to Little Dorrit.